“When you live in this stream, you live according to your heart’s desires, your innermost urging and true calling, following your inner voice and listening to your natural rhythms as they harmonize with the earth, your loved ones, the cycles of time and rhythm, and life itself. 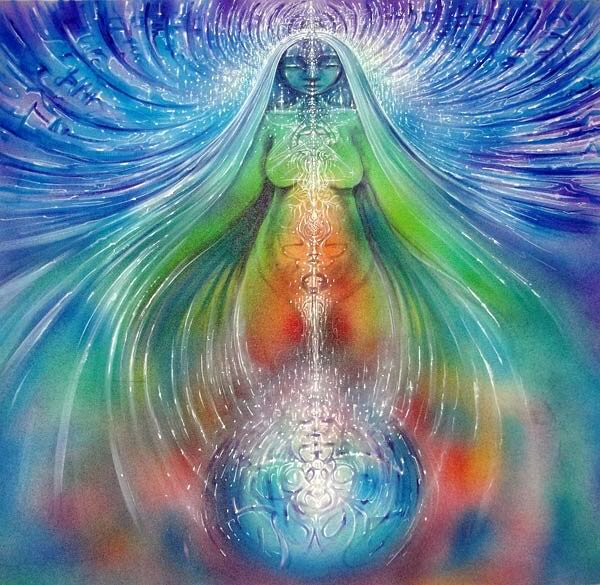 The life spark within all of us, birthed from the womb, pushes toward this movement, the very movement of creativity, joy, and free sexual energy. These movements constantly go through you and the earth and are made conscious when your emotional state is agile and you can easily emote, for emotions equals energy in motion. This entry was posted in Goddess, Good Writing, Mother Earth, Qoutes, Sensuality, Tantra, Women's Sexual Health and tagged Qoute, Qoutes, Womb.